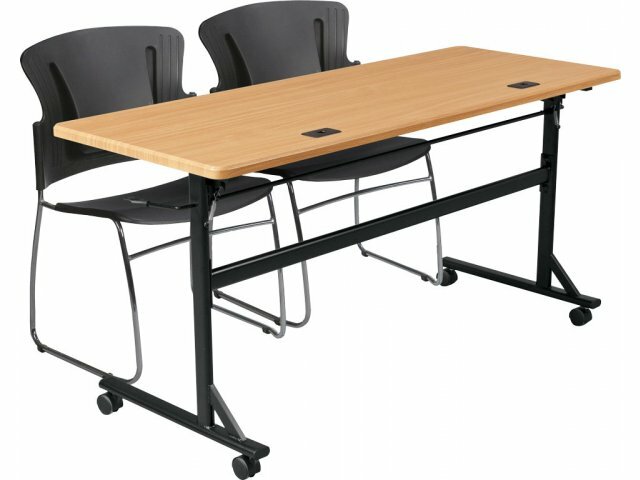 These value-priced training tables add professionalism to any classroom or training room. The 60" length accommodates two users comfortably. 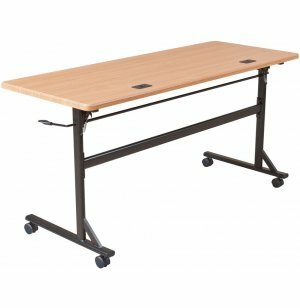 Enhance your conference or training rooms with these Economy Flipper Training Tables from Balt. 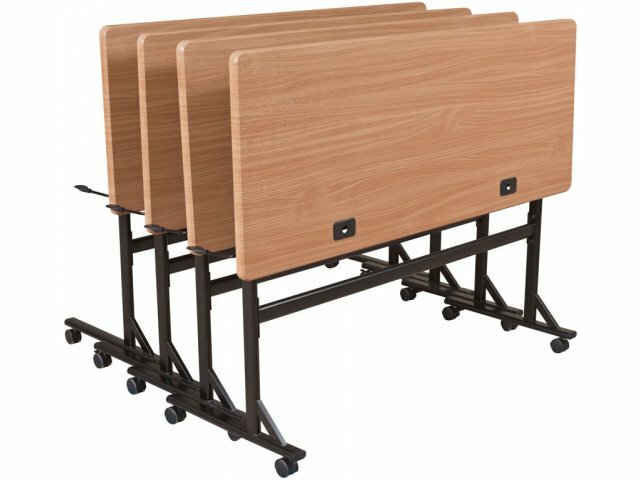 This series of seminar tables is practical, aesthetic and easy on your budget. 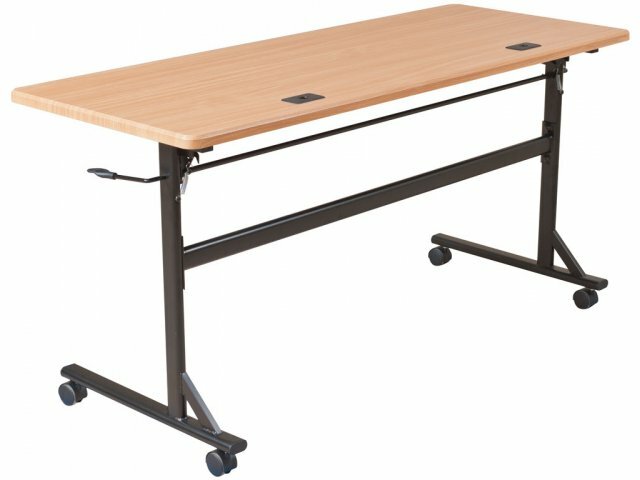 The tops of these seminar tables flip back with a simple lever mechanism and nest together for compact storage. Four 2" casters (two locking) provide smooth, easy transport. Each table features two wire-management grommets for convenient routing of cables and a neat workspace. 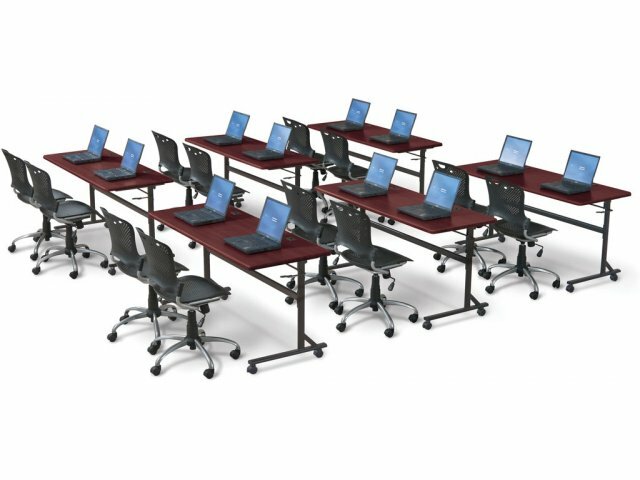 These training tables can be used individually or pushed together to form various configurations for conference or meeting rooms. Comfortable: 60" length accommodates two users comfortably. 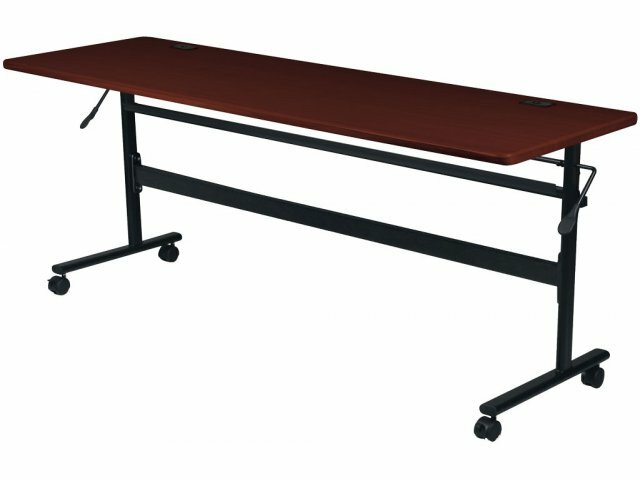 Versatile: These training tables can be used individually or in combination. Compact Storage: Tabletops flip back and nest together for space-saving storage. Mobile: Rolls on four 2" casters (2 locking). Wire-Free Workspace: Wire-management grommets provide easy routing of cables and wires, for a clutter-free workspace.